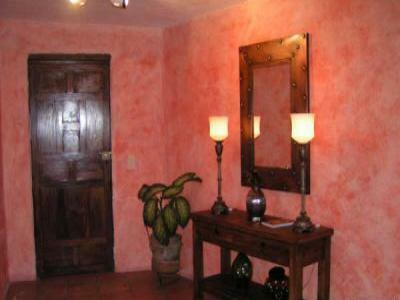 Casa Romance Escondido is the ideal vacation home in Puerto Vallarta! this traditional house is right where the action is. way to delight in the pleasures of this beautiful seaside city. Visit our website for rental information! Casa Romance Escondido is located in downtown Puerto Vallarta. Mexican restaurant is a cross the street. Malecon, or take a $3 USD taxi ride. It's quick, safe, and fun. On the weekly stay the maid is included twice a week. page), check, or by bank wire transfer to our US account. Security deposit will be returned within 14 days after cancellation. replacements needed in case there are damages assessed. availability of sleeping arrangement can be made at your request.